The AGACSE 2015 Prize will be awarded to the best work submitted to the AGACSE 2015 Conference by a young researcher. The author must warrant to be under 35 years old. The author must be registered and he must have payed the fee for the AGACSE 2015 conference. The paper must be submitted in a PDF file via EasyChair. 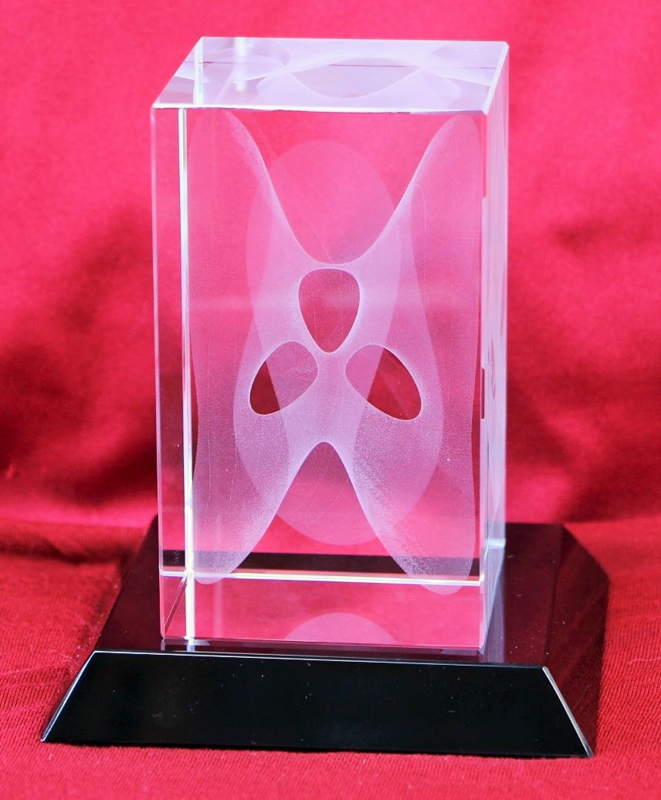 The awardee will receive an artistic glass sculpture (Clebsch Diagonal Cubic Surface*, courtesy of MO-Labs) commemorative of the first AGACSE Prize, a package of books authored by AGACSE 2015 Conference speakers and a cash prize of 500€. The awardee will be reimbursed the registration fees for the AGACSE 2015 conference and, if it were the case, for the Summer School. The awarded work shall be presented as a plenary lecture to the AGACSE 2015 Conference.